The Tapanuli orangutan--the rarest primate in the world--is on the cusp of being obliterated by two Chinese state-owned entities. The Bank of China is funding and Sinohydro is building a dam that would permanently slice up the Tapanuli's only habitat, and lead it to a near-certain fate of extinction. The Tapanuli was first identified in 2017, a finding which drew headlines throughout the world. It marked the first time since 1929 that a new Great Ape species was discovered. The Tapanuli is one of just eight species of Great Ape worldwide (including humans). With a population of just 800, the Tapanuli is already struggling to survive. It is facing dire threats from poaching, deforestation, and climate change. The Chinese-backed dam in the heart of their habitat would doubtless prove itself a death knell they can no longer overcome. To save the Tapanuli, we must convince the Bank of China and Sinohydro to stop the Batang Toru dam. Following a widespread day of protest in 14 countries, Bank of China announced their intention to reevaluate the project. Given that the dam would permanently fragment the Tapanuli's only habitat, any objective analysis would conclude that this orangutan has virtually no chance of survival if construction proceeds. In all of written human history, no species of of Great Ape has ever been brought to extinction. This could soon no longer be the case. Clearing for the dam has already begun. The next few weeks and months mark our best--and only--chance to save the Tapanuli before it's too late. 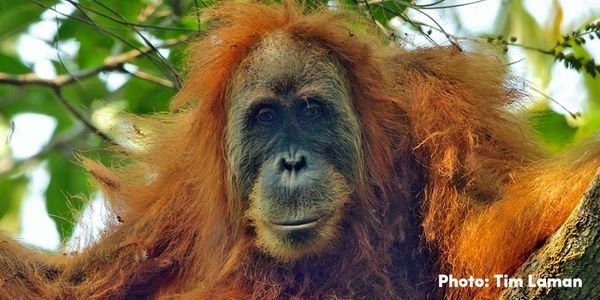 Tell Bank of China and Sinohydro: Save the Tapanuli orangutan. Stop the Batang Toru dam. Right now, multinational corporation Jardines stands by as forest clearing begins in the orangutans' only habitat. Join us to protest on Thurs 21 March in London or in NYC. Jardines also owns one of Indonesia's largest companies so they have the influence needed to help stop the dam. Huge update: You signed our petition and...it’s working! Bank of China just agreed to reconsider funding a dam that could wipe out the Tapanuli orangutan.